Project Elwood & Goetz is a unique project for Boutique Brand Builders. The goal was to take a top of the line printed customer information packet and make it better. The concept proposed was a business journal and brand photography made just for educating and attracting new customers. What Boutique Brand Builders delivered has been well received by everyone. Currently in the editing phase, we will be printing soon. 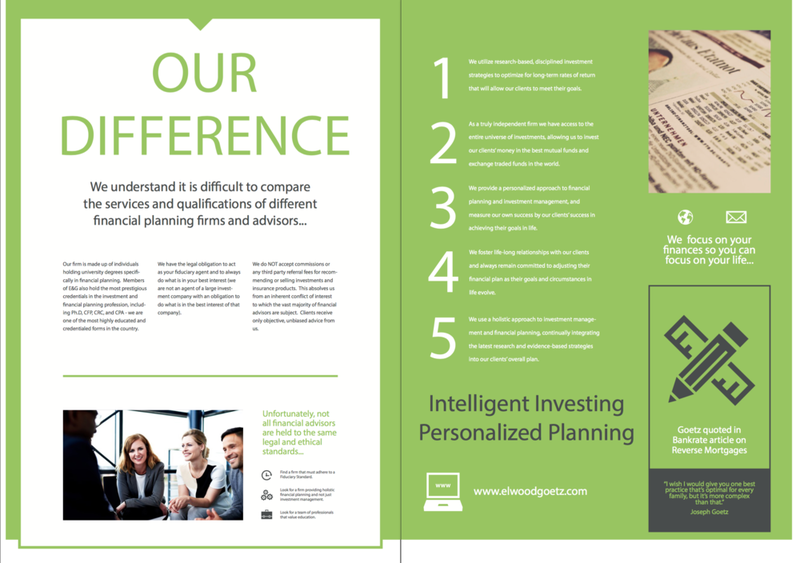 Here is a sneak peak of the new and improved customer information packet.